One of my favorite movies of all time is: Under the Tuscan Sun. I own it on DVD and I've watched it so many times that I actually need to replace the DVD because it's worn out and scratched. Little did I know that I'd start a blog and end-up comparing my life to Frances' (played by Diane Lane). Frances: She bought and fixed up a house, worked as a literature professor, literary reviewer & writer and I married the man of her dreams. She had the typical American dream, right? Then something terrible happened... Her husband blindsided her with adultery and divorce, all to find out that he would sue her for alimony and end up with the house she fixed up and paid for while supporting him while he wrote a book. Me: My life was pretty darn perfect too. I bought and fixed up a cute little house at the age of 20. I had a great job working as a nurse, pursued and obtained my Master's degree and married the love of my life. Then something terrible happened... Six months after graduating with my Master's degree, we miscarried what would have been our first child and then three months later my husband got in a catastrophic accident severing his spinal cord. *Both of us: Two completely different incidents, but both were equally life altering. Frances: After her divorce, Frances was depressed and her friend sent her on a trip to Tuscany because she was pregnant and couldn't go. She knew that Frances needed to get away. Frances pushed back at first and wasn't sure a gay tour of Tuscany was really worth her time. Me: We were supposed to travel to Italy two weeks after Seth's accident. I was depressed about missing my sister-in-law's Italian wedding and not knowing what would come of our lives. Everything was up in the air -- Will Seth walk again?, Where will we live?, Will I go back to work?, Will he go back to work? Will we have a family of our own? *Both of us: Feeling depressed with an unknown future. Frances: Frances ended up buying a villa during her short visit to Tuscany and she fixed it up with hired help. Despite the language barrier, she befriended the workers and grew quite fond of them as well as others in the town. 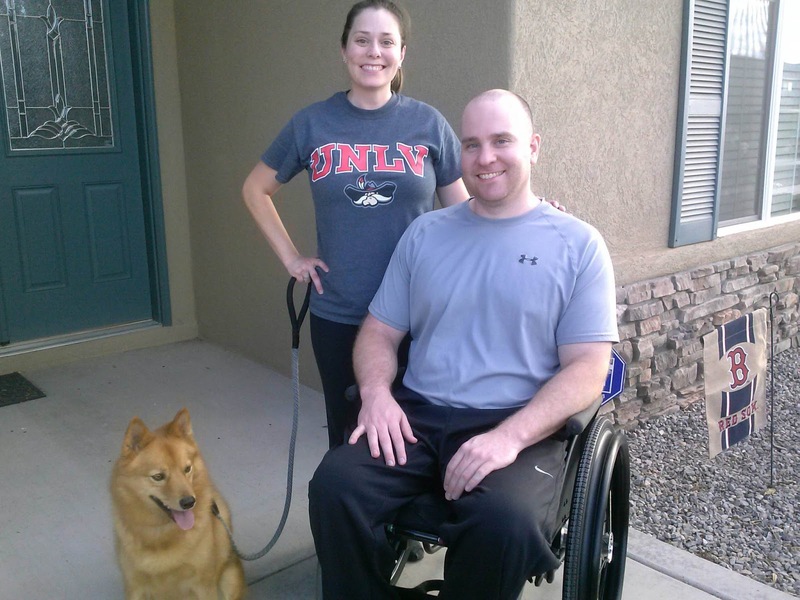 Me: We moved to another state so he could attend spinal cord injury rehabilitation and we lived in a communal house with complete strangers. I befriended several people and have formed close bonds with them. I met, Melanie from Louisiana, whom I've grown quite fond of and enjoy spending afternoons shoppings, getting our nails done and having delicious treats (Amy's Icecream). Sometimes we just needed a break from the communal house! I even had a slight language barrier with my friend, Myrna, from Puerto Rico. She speaks English well, but I enjoyed teasing her if she said something that sounded funny or didn't make sense. After she returned home, she made sure to inform Seth and I of the quote by H. Jackson Brown: "Never make fun of someone who speaks broken English. It means they know another language." *Both of us: Meeting new people, learning new things about other cultures (Puerto Rico and life in Louisiana) and developing close bonds with wonderful people. Frances: Frances got especially close to one of the migrant workers. He was young and didn't have a family. She supported him like a mother would and helped him obtain approval from a young Italian woman's family so he could take her hand in marriage. Me: Just like Frances, I helped someone, actually I helped several people living at the communal house. One night, I utilized my nursing skills to assess a woman, called for help and sat with her and her family in the ER until 3am. I drove another person to the store because she didn't have a car. I also provided support for a young lady who was experiencing a miscarriage. I also cooked a meal for a family who was going through a rough time (husband is wounded warrior and wife is sick with cancer). I'm not mentioning these because I wouldn't have done these before Seth's accident, but I know I wouldn't have met and helped these people if it hadn't happened. *Both of us: Felt content knowing we helped people. Frances: At the wedding of the migrant worker/friend and young Italian woman, Frances met an American writer. The final scenes are of Frances and the writer enjoying a Christmas supper with all of her friends, thus leading the audience to believe there is a romantic future for them. Me: It has been eleven months since Seth's accident and although Seth didn't regain function of his legs, we've made the best of it and are grateful he's still here with us. We are about to embark on a new chapter in our lives. On Saturday, we moved back to our home in New Mexico and we are starting our "new normal" life together. I just accepted a teaching position at the local university and we hope to start a family once the dust (from construction) settles -- no pun intended! *Both of us: We have unknown futures, but at least we both finally saw the light at the end of the tunnel and we're (thankful) it's not an oncoming train anymore! 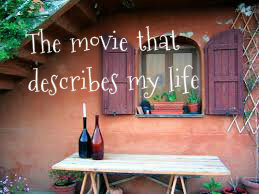 What movie or movies best describe your life? All smiles because we're finally home! First thing I did was hang up our Red Sox flag. the 10 hour trek and staying to help us get settled.